In the spring of 1994, after decades of intermarrying and living in relative harmony with each other, Rwandan Hutus, en masse, went on a murderous rampage against their Tutsi neighbors. By the end of just three months, nearly three-quarters of the entire Tutsi population had been exterminated, mostly by ordinary people—farmers, teachers, active churchgoers. This swift, appalling genocide followed a relentless propaganda campaign that demonized Rwandan Tutsis and twisted genocide into a “vital” and “noble” cause. What role do the media have in creating the conditions for atrocities such as those that occurred in Rwanda? Conversely, can the media be used to preserve democracy and safeguard the human rights of all citizens in a diverse society? How will the media, now global in scope, affect the fate of millions of people and possibly the planet itself? Political scientist and veteran journalist Maria Armoudian explores these intriguing questions and more in this in-depth examination of the media’s power to both help and harm in her forthcoming book, Kill the Messenger. Armoudian first documents how media helped spread the contagion of hate in three deadly conflicts: Rwanda, Nazi Germany, and the former Yugoslavia. But fortunately, the destructive depths to which television, publications, radio, and other information sources have sunk is only half the story. She then turns to areas of the world where the media have played a powerful positive role—aiding the peace process in Burundi and Northern Ireland, helping to rebuild the post-coup democracy in Chile, bridging ethnic divides in South Africa, improving the lives of women and girls in Senegal, and boosting transparency and democratization in Mexico and Taiwan. Finally, in an analysis of media’s framing of climate change, Armoudian shows media’s constructive and destructive potential stretches beyond the lot of individual nations to affect the very fate of the world. As illuminated by developments such as the “Arab Spring” and the WikiLeaks controversy, new communication technologies have both magnified and have both magnified and diffused media’s power while giving rise to a new class of media mavens who are helping to shape the future by proliferating ideas, counter-frames information often neglected by traditional media. Drawing from a rich scholarly literature in psychology, political science, and sociology, Armoudian demonstrates how media interact with social forces to shape beliefs, provoke emotions, instigate groupthink, and construct heroes and villains. 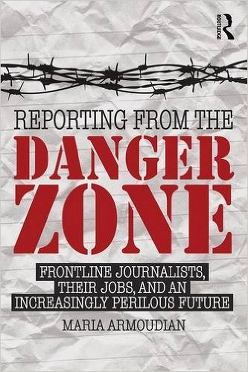 This wide-ranging, insightful book will make readers keenly aware of media’s power, while underscoring the role that we all play in fostering a media climate that cultivates a greater sense of humanity, cooperation, responsibility, commitment to public welfare, and fulfillment of human potential. The Scholars’ Circle [ Listen to Recordings ] is a broadcast discussion that features a moderator and three top thinkers/scholars who tackle current events and systemic issues within the broader context of the deeper phenomena that drive and shape those events. For a half-hour, top scholars and practitioners try to make sense of what is occurring with humanity – politically, physically, economically, psychologically, sociologically, legally, communally and more. Where are we in the great scheme of things? How did we get here and what do these mean for the future of humanity?The Scholars’ Circle goes beyond current events to look at deeper trends and their causes, systemic and structural forces, and to explore possible solutions to the many issues facing humanity. How is The Scholars’ Circle different from other broadcast programs? The Scholars’ Circle brings to the airwaves material that the public rarely hears together – knowledge producers and practitioners thinking out loud with each other in areas of their expertise in order to try to shed greater understanding to the big issues and choices before us. It focuses on bridging, rather than dividing, and on larger contexts and questions that underlie current events. The host, Maria Armoudian, is an author, a fellow at the Center for International Studies, a journalist, and a Ph.D. candidate in political science and international relations. She has worked directly in politics for more than fifteen years as a high level staffer in the California Legislature, a Commissioner in the City of Los Angeles and a board member for several nonprofit organizations. 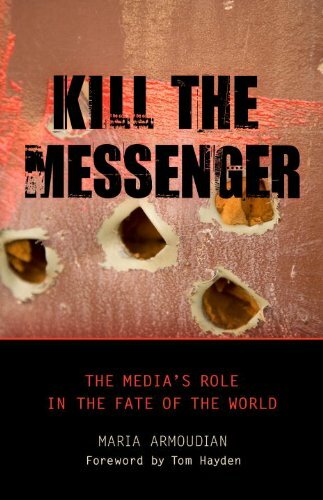 Her forthcoming book, Kill the Messenger: The Media’s Role in the Fate of the World (Prometheus Books) is a comprehensive look at how the media affect political outcomes such as genocide, war, peace, human rights, democratization, social change and environmental protection. As a journalist, she has written for a wide variety of publications, including the New York Times Syndicate, the Los Angeles Times Syndicate, The Los Angeles Daily News, Salon.Com, the Progressive, Inc., Alternet, Businessweek, Daily Variety, and many others. Political Violence: What foments it? What quells it? Transformations in the Middle East and what they mean for the region and the rest of the world. Presidential power: Given the system and the constraints on presidents, how much should society expect from their president? On the Insighters, What were the factors that led to Western dominance of the world and how are they changing the world? We discuss the book Why the West Rules For Now: The Patterns of History and What They Reveal About the Future. Historian Ian Morris joins us. On the Scholars’ Circle: At the 96th Anniversary of the Armenian Genocide, we look at what are the conditions for genocide and what are the means to prevent it. Professors Alex Hinton, Richard Dekmejian, and Vahakn Dadrian join us. I hope you tune in on KPFK 90.7 FM, 98.7 FM in Santa Barbara, 93.7 San Diego. Or on www.kpfk.org or podcast us. Welcome to our fledgling website. We will be posting updates here about the latest radio programs and other information. I am looking forward to dialoguing with you!